Earlier this week the Deerfield, Illinois City Council passed an ordinance banning a number of semi-automatic rifles, handguns and "high-capacity" magazines. 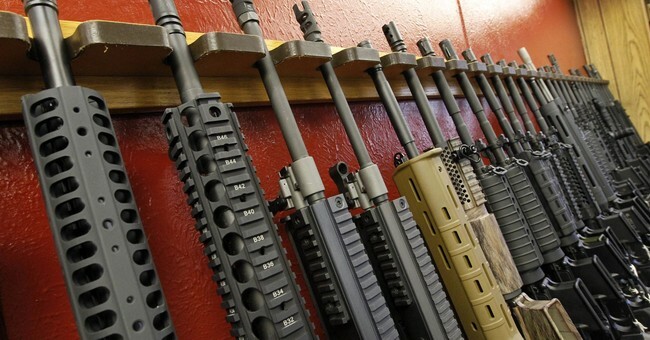 In their words, it's an "assault weapons" ban and includes broad definitions. There is no grandfather clause and Deerfield residents have until June 13 to turn in their guns for destruction. If they don't, they'll be fined $1000 per day. Still no word on whether police will go door-to-door in a attempt to search private homes and confiscate weapons. The ordinance was opposed by the majority of people who spoke at the council meeting and a lawsuit against the ban has been issued by the pro-self defense, Second Amendment organization Guns Save Life. “We are going to fight this ordinance, which clearly violates our member's constitutional rights, and with the help of the NRA I believe we can secure a victory for law-abiding gun owners in and around Deerfield,” President of Guns Save Life John Boch said. The National Rifle Association is backing that suit. The NRA is also suing Florida for raising the legal age to buy semi-automatic firearms from 18 to 21-years-old. That law was passed last month.